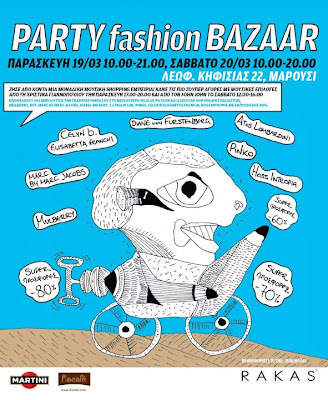 RAKAS shopping bazaar/fashion party is being held today and tomorrow in 22, Kifisias Avenue, offering brands like Marc by Marc Jacobs, Pinko, Atos Lombardini, Hoss Intropia, Mulberry, Diane von Furstenberg, Isabel Marant and Philip Lim for as low as 80% off! I'll be there in a few minutes and I'll keep you posted on my finds through my twitter. 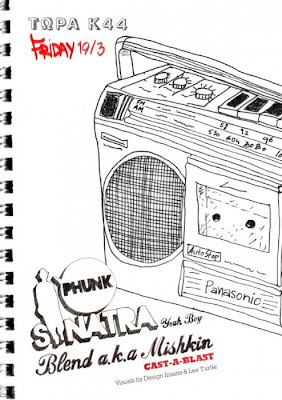 As for tonight, if you're not too knackered after this morning's bargain hunting (you're tough cookies, I believe in you) come and have a drink at TORA Κ44 in Gazi where my good friend Lee Turtle will be VJing for Phunk Sinatra feat. Blend a.k.a. Mishkin. This weekend is off to a really good start! looks like an awesome weekend! have fun lopi! Too crowded,go early in the morning(10.00),its better!!! I went on the first day at 3:30, it was crowded but I managed. You where there too? What did you get?